If it were not for Dave Jackson, we would have never actually started producing episodes of The Author Inside You podcast. Dave answered question after question we had about how to launch our on-line radio show, and he never lost his patience. When you are ready to start your podcast, please contact Dave. 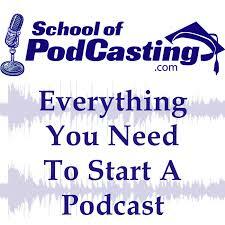 He is an expert on everything to do with podcasting, he has helped thousands of people start their podcast, and we know you will have great results when you bring your questions to the School of Podcasting.